How do I know if Oxbridge preparation is appropriate for me? Oxford and Cambridge universities explicitly state that their main aim is to select the most able students who will make best use of their superb resources and their very particular teaching styles. The most important criteria for entry are high examination scores, a demonstrable ability and interest in a field of study and a robust enough personality and work ethic to cope with very demanding courses. They do take account of rounded experience in other aspects of home and school life and some weight is given to performance at interview. As a rough guide, students who are achieving consistently high A grades in A Level courses are likely to thrive in fast paced university courses. In our experience, about 20 of our year 12 students have demonstrated enough skill at GCSE to be credible applicants. We provide activities open to about that number and students tend to opt in or out of the process as they progress through the AS and A2 years and A Level performance becomes evident. It is not always students with the very highest examination marks who are offered places so we encourage applicants to apply if they are estimated A grades and are more or less matching these targets. It is a demanding selection process that is designed to eliminate lots of people, so the school support programme involves helping students to cope with the consequences of acceptance and rejection. Our able students who do not gain places still find the preparation helpful as it keeps them focussed on high grades, successful study strategies and very good research on possible courses and universities. Why does the preparation process have to be different? We help all students with university application and career choices but students who apply to Oxford or Cambridge courses, or to Medicine, Veterinary Science and Dentistry, usually have an earlier schedule to meet and they usually have to go through selection interviews. We try to get ahead with thinking through the application process in the summer term of year 12 because the school deadline for Oxbridge applications is the end of September. Students often benefit from interview preparation and practice and guidance about enhanced reading or enriching experience in their chosen subjects and the summer between year 12 and year 13 is a good opportunity to work on these areas. What events and activities are arranged for this year? 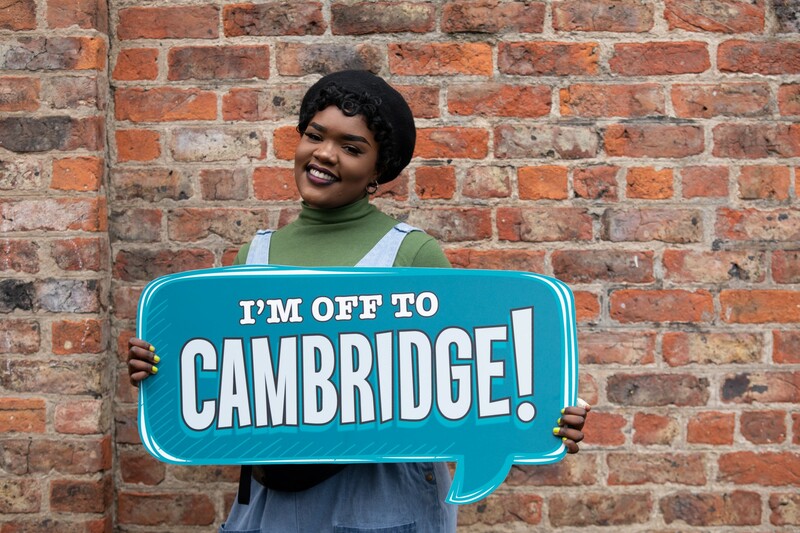 Many of our able students have already had access to gifted and talented events and activities and there are additional opportunities to learn about Oxford and Cambridge life and studies. Ampleforth College kindly invite a number of our most able students to join them in a higher education conference. The college host delegates representing universities all over the world, from the very local (University of York) to the very distant (Notre Dame University, Indiana USA). The morning includes seminars on Oxbridge applications, Dentistry, Engineering, Medicine, Veterinary Science, Finance, GAP years, the UCAS process etc. Around Easter Ampleforth conference, for students thinking about applying to Oxbridge, or any other high ranking university, Medicine, Veterinary Science and Dentistry. Students considering studying abroad would also find this experience very valuable. A small contribution towards transport costs is requested for this visit. University grants and funding talks are provided for all students and the same principles apply to Oxbridge candidates. Oxford and Cambridge colleges are keen to demonstrate that it is no more expensive to study there than in other universities. In some cases there are additional sources of funding and living costs are not necessarily any more expensive. April to June Students should be looking at the UCAS website, sending for prospectuses, finding out about course entry requirements and reading up on career options. Open days happen all the time so you need to be pro-active about opportunities to visit, go on courses and read up on subjects. May to June AS examinations will take precedence and candidates should be well prepared for the best possible marks in the first sittings of examinations. June to July This is when students begin to compile the personal statement that accompanies the application. Information and individual support is available, including advice about the structure of your personal statement. Summer Holidays Students should go home for the holidays with a clear plan of what needs to be done to make a success of this experience. There are books available on Oxbridge applications, the college and UCAS submission of essays for some subjects, and a challenging and enjoyable programme of reading and summer activities might just make the difference to interviews in the autumn term. September From the very first week we need to be planning essay submissions, preparing for entry tests and interviews and reviewing AS performance and subject choices. Early and careful preparation builds confidence and teachers need time to set and mark appropriate tasks for essay submission. The school deadline for all of this to be completed is the end of September. October to December We provide interview advice and practice interviews with visiting higher education experts. This process includes individual feedback on interview performance and students usually report this as a really helpful exercise. College interviews usually take place at the end of November or the beginning of December. We sometimes take time to have individual or joint “debriefing” sessions to help students reflect on the experience. What are my responsibilities in this process? Make sure you are in assemblies and Personal Development classes so you can pick up notices about meetings, interviews and open days that are relevant to you. Come along to all sessions for Oxbridge candidates. Find out for yourself about courses, colleges, entry requirements (grades and subjects), application processes, including set essays, portfolios or assessments or tests or work experience. We can help with checklists and encouragement, but requirements change from year to year and it is your responsibility to find out what is needed for your proposed course. Obtain your own copies of general and subject prospectuses and study them. Find out about open days or conferences and attend any relevant ones. Some applications to open days are done through school, so see a member of the Sixth Form team if you have not found one and you wish to attend an open day. You need to ask subject teachers to mark pieces of work if any are needed for submission. You need to keep to the schedule set by school so that teachers have time to give proper attention to setting and marking suitable work. Obtain a sample copy of the admission test, if applicable, and practice the questions and revise the format well before these are due. Students should research costs and fees in the same way as for other courses. We may be able to help with advice and information about bursaries and grants, but it is your responsibility to do the research and look at options. The local authority advice is to apply for a student loan in plenty of time, even if you are not sure you need it. The application process is in itself a test of organisation skills, proactive approach to problems and good management of time. Some find this first hurdle a lot to manage while others are ready to embrace the challenge. We will do all we can to support, but we will expect you to keep to the set schedule, including school deadlines for personal statements, set work and application forms. Interviews and visits are just as much a chance for you to look at these colleges as for them to look at you. Ultimately you need to decide whether their approach is right for you. Most of our students go to visit other very good universities too so that they have attractive alternatives in the case of an unsuccessful Oxbridge application. The “numbers game” means that many really excellent candidates won’t achieve places so we need to be prepared for any eventuality. You need to read advanced texts in your subject area. This is difficult in school terms so take all opportunities to keep up to date with subject journals and challenging texts in a few areas of particular interest. Some knowledge of how your subject relates to world events and to other issues may be expected in interview. Although General Studies grades are not part of most offers in terms of points, the content of these lessons is very useful for interviews and for your continued intellectual development. It makes sense to opt in to these learning experiences and to share your high level reading and vocabulary with our other students. At All Saints we have a keen sense of the responsibilities of talents as well as the rights and privileges we enjoy. We are very pleased to receive feedback on intellectual excellence of our candidates but also on their sense of community and service.